Recipes extracted from The CSIRO Healthy Gut Diet by Dr Tony Bird, Dr Michael Conlon and Pennie Taylor. Available now, Macmillan Australia, RRP $34.99. Heat a heavy-based frying pan with a lid over medium heat and spray with olive oil. Add the chicken and cook, stirring for 4–5 minutes until browned all over. Transfer to a bowl and set aside. Spray the pan with a little more olive oil, then add the onion, chopped capsicum and garlic and cook, stirring occasionally, for 5 minutes or until softened. Stir in the paprika and cook for 30 seconds. Add the passata and bring to a simmer. Stir in the saffron mixture, chicken and 1/2 cup (125 ml) water and bring to the boil over high heat. Cover, reduce the heat to low and cook for 20–25 minutes until the chicken is cooked through. Preheat the oven grill to high. Line a baking tray with foil, top with the sliced capsicum and grill for 5 minutes or until softened and the skin is slightly charred. Cook the broad beans in a small saucepan of simmering water for 3 minutes, then remove with a slotted spoon, run under cold water and double-peel. Add the peas to the pan of simmering water and cook for 3 minutes or until tender. Drain. Cook the beans in a saucepan of simmering water for 4 minutes or until tender but a little crisp. Add the capsicum, broad beans, peas and beans to the chicken mixture. Divide the rice among 4 plates or bowls, top each bowl with one quarter of the chicken and vegetable mixture and serve immediately with the salad leaves and lemon wedges to the side. To make the herbed goat’s cheese, place the cheese, chives and parsley in a small bowl and stir to combine well. Cover with plastic film and refrigerate until required. Divide the mixture into 8 even portions and, using lightly floured hands, form into patties. 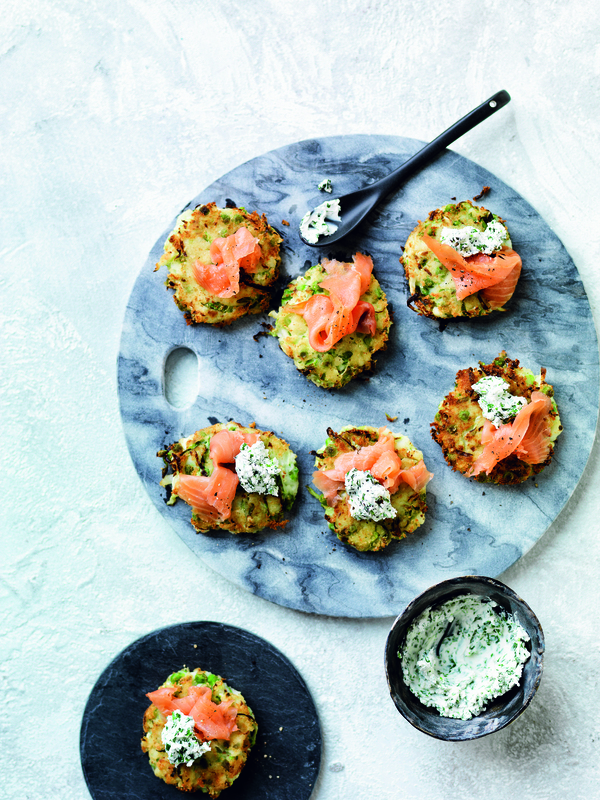 Serve the fritters warm with smoked salmon and herbed goat’s cheese. Preheat the oven to 190°C (170°C fan-forced). Spray a 1.5 litre baking dish with olive oil. Heat a deep heavy-based frying pan over medium heat and spray with olive oil. Add the onion, carrot and celery and cook, stirring, for 5 minutes or until softened. Add the garlic and curry powder and stir for 30 seconds or until fragrant. peas and return to a simmer; add a little water if necessary to prevent the mixture from sticking. Spoon the lentil mixture into the prepared baking dish, then top with the potato slices, placing them in overlapping lines to cover the lentil mixture. Spray with olive oil and sprinkle with paprika. Just before serving, steam the broccoli and beans in a steamer basket over a saucepan of simmering water for 3 minutes or until tender but crisp. Serve the hotpot with the steamed vegetables alongside. COOKING 2 hours 30 minute, plus potato cooking time. cinnamon and some freshly ground black pepper in a small bowl and rub all over the lamb to coat well. Place in a ceramic baking dish, then pour in enough water to come 2 cm up the side of the lamb, taking care not to pour it over the lamb. water occasionally and adding more if necessary. The lamb should be tender and easily shredded with a fork. When the lamb has been cooking for 1 hours, place the crushed potatoes in another roasting tin and pour the lemon juice evenly over the top. Spray with olive oil and sprinkle evenly with the remaining 1 teaspoon of oregano, then roast for 1 hour, turning occasionally, until golden and crisp. Meanwhile, to make the salad, cook the broccoli in a saucepan of simmering water for 3 minutes, then add the peas and cook for another 2 minutes or until the vegetables are just tender. Drain and rinse under cold running water then set aside. Just before serving, combine the broccoli, peas, cos, cucumber and spring onion in a bowl. Whisk together the lemon juice and olive oil, then add to the salad and toss to combine. 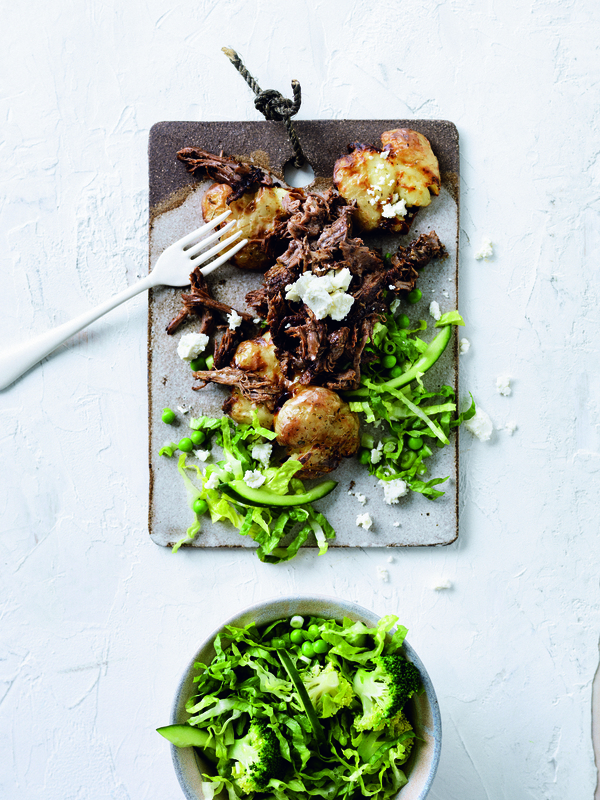 Shred the lamb with a fork, then serve 200 g per person with one quarter each of the roast potatoes, salad and feta. medium heat. Reduce the heat to low–medium and simmer, stirring frequently, for 20 minutes or until the milk is absorbed, the rice is cooked and the mixture is thick. Stir in the maple syrup. 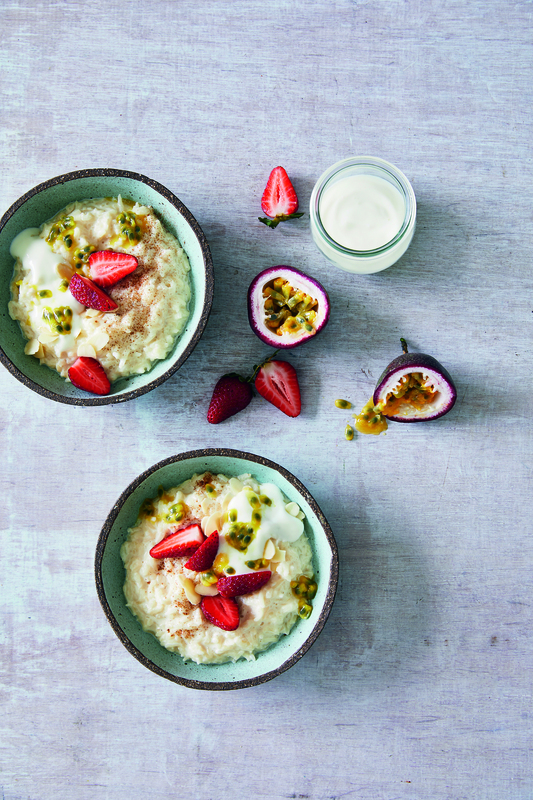 Divide the rice pudding among 4 bowls, sprinkle with ground cinnamon to taste, then top evenly with the passionfruit, strawberries and almonds and serve warm with yoghurt. This can be made the day before and chilled in the refrigerator overnight, if desired. The pudding will thicken on chilling, so loosen with a little extra skim milk, if you like. In recent years, we’ve come to realise that a healthy gut is pivotal to a healthy metabolism, a healthy brain and a healthy immune system. The explosion of scientific research in this field – with CSIRO at the forefront – has also led to the discovery that feeding our gut bacteria with a particular type of fermentable fibre called resistant starch is a major piece in the gut health puzzle. This book provides information on how the gut functions and what can go wrong, along with a collection of recipes specifically developed to be high in fibre and resistant starch. Written by a team of experienced CSIRO researchers, including nutritional scientists and dietitians, many of whom are internationally recognised authorities in nutrition and gut health, this book contains simple, practical advice and a wide range of tasty, easy-to-make recipes designed to benefit the gut and overall health. The CSIRO, Australia’s national science agency, has been dedicated to the practical application of knowledge and science for society and industry since 1928. Today the CSIRO ranks in the top one per cent of world scientific institutions in twelve out of twenty-two research fields. CSIRO Health and Biosecurity conducts research into human health, including disease prevention, diagnosis and innovative treatment. Pennie Taylor is the senior research dietitian at CSIRO Health and Biosecurity. Dr Michael Conlon is a senior research scientist with CSIRO Food and Nutrition. As a reader of my blog you will already be aware of how important I feel gut health is to all of us. This book is a very important addition to my Gut Health Library; it contains information and dietary advice on how to improve your gut health, the importance of resistance starch in our diet (not all fibre is created equally) and how to increase the amount of this in your diet. It provides advice on how to maintain a low fodmap high fibre diet (FODMAP is an acronym for a group of poorly absorbed carbohydrates (sugars) in foods… P.34) and a useful chart comparing the fibre content of common foods and a Heathy Gut Eating Plan and a guide on how to use the recipes and sample meal plans provided in the book. All in all very useful, well rounded book that provides accessible science, recipes and advice. 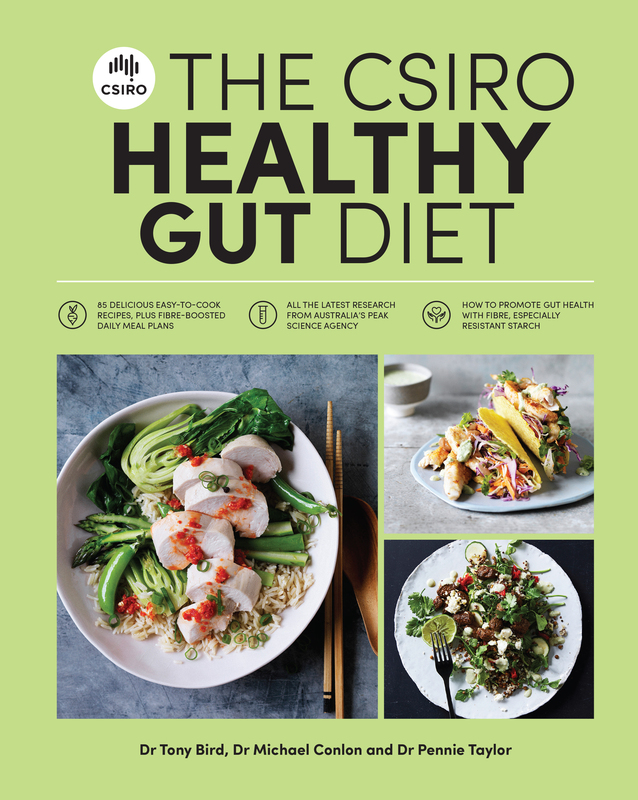 Start your journey to good gut health today with The CSIRO Healthy Gut Diet book. 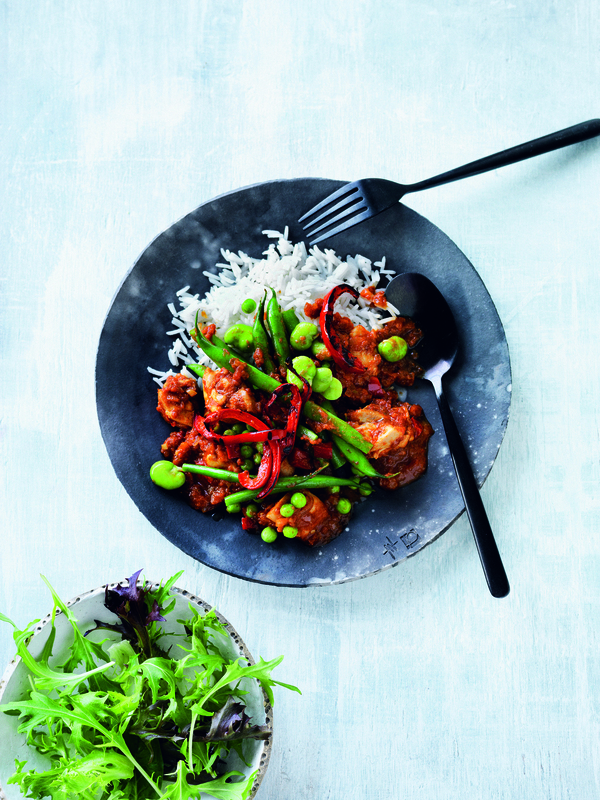 95 Delicious Gluten – Free, Mostly Vegetarian Receipes suitable for the Digestively Challenged. A low-FODMAP diet is the simplest and most effective way to manage irritable bowel syndrome (IBS) and a range of other dietary intolerances. Georgia McDermott is one of the 15 per cent of Australians who suffer from IBS. She is also a passionate home cook. She set out to find a way of managing her symptoms and discovered the low-FODMAP diet. At the same time, she chronicled her journey and her cooking experiments on her phenomenally successful blog and on Insta (@georgeats). 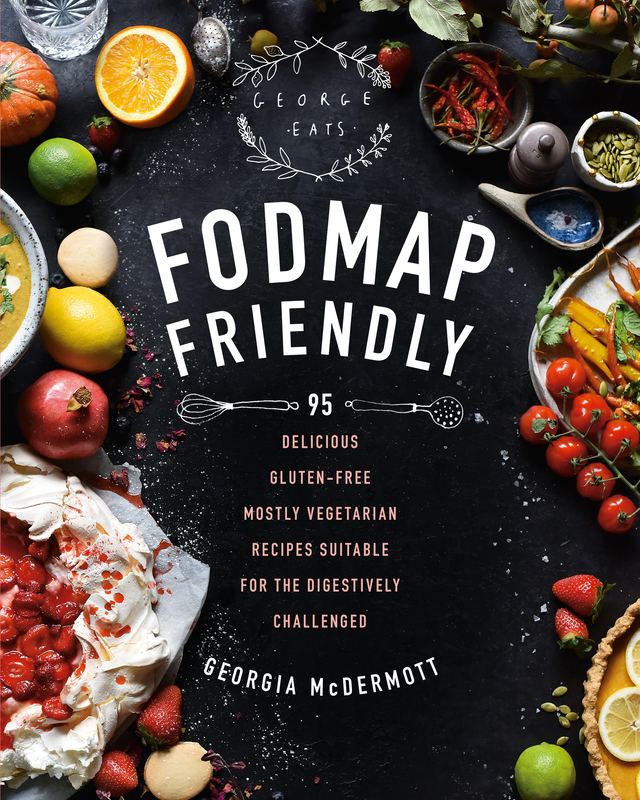 Now, in her first book FODMAP Friendly, Georgia shares over 90 recipes that are not only delicious, but will help relieve the uncomfortable symptoms of an unsettled gut. Georgia creates food for all occasions, from colourful salads and hearty dinners to gorgeous savoury bites and full-blown baking extravaganzas. 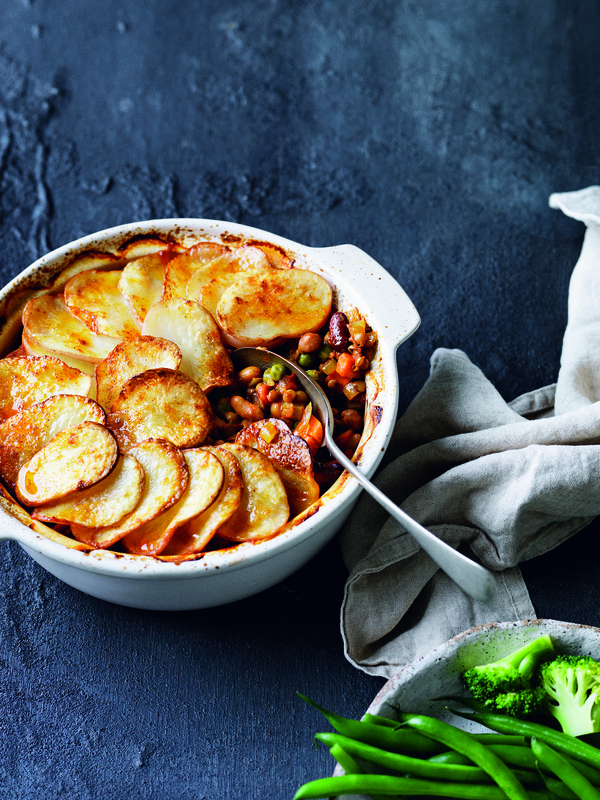 Accompanied by all-new photography, these recipes – most vegetarian and sometimes pescetarian – are tried and tested by Georgia to ensure that taste is never sacrificed in the pursuit of feeling well and comfortable. Whether you’re following a low-FODMAP diet, suffer from food intolerances or experience gut-health issues OR you simply love great-tasting food that’s also good for you, this book, bursting with deliciousness, is for you. This book is an excellent resource with many recipes that will soon be on my daily meal plan. I will put my hands up – I am digestively challenged, reflux is not my friend. A low *FODMAP diet is one I am keen to try. Fructose: A simple sugar found in many fruits, vegetables and added sugars. Lactose: A carbohydrate found in dairy products like milk. Fructans: Found in many foods, including gluten grains like wheat, spelt, rye and barley. Galactans: Found in large amounts in legumes. Polyols: Sugar alcohols like xylitol, sorbitol, maltitol and mannitol. They are found in some fruits and vegetables, and often used as sweeteners. Sound advice. I am ready to experiment.